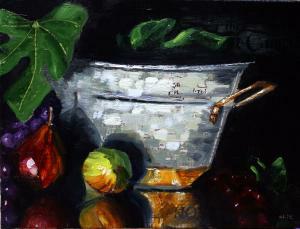 "Figs and Things" was one of the selected works in the Hunters Hill Art Show. 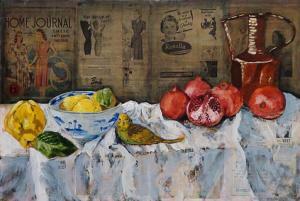 I found this wonderful old Home Journal magazine from the '40s for the collage background for this painting. The ads particular made for amusing reading. Budgerigars are such wonderful little Australian birds I thought I would include one as well.